Tomorrow, Wednesday, May 14, the Center for African American Health is hosting an orientation from 10am-noon for its popular, "Just Check It," home blood pressure monitoring program. 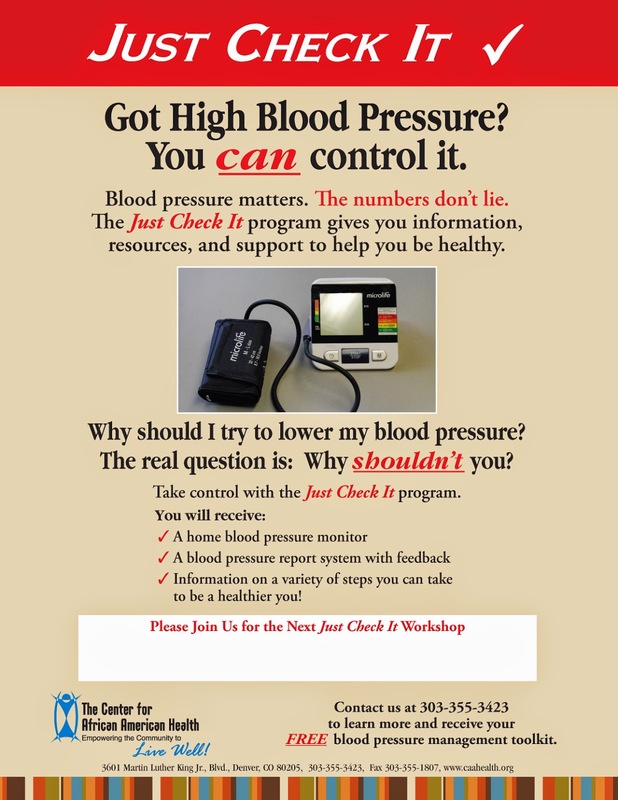 "Just Check It," provides participants vital self-management tools, including blood pressure cuffs, information on lifestyle choices, and a system to track and share home blood pressure results with a doctor or pharmacist. The program is completely FREE of cost and any individual with hypertension or prehypertension is eligible to participate.